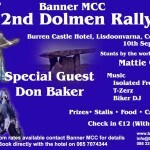 The Banner MCC’s Dolmen Rally takes place Saturday 10th sept 2011 at the Burren Castle Hotel, Lisdoonvarna Co.Clare. Stunts by world famous Mattie Griffen, first of four shows at 6pm. Music by great blues man Don Baker, also Isolated Frequency, T-zerz and biker DJ. 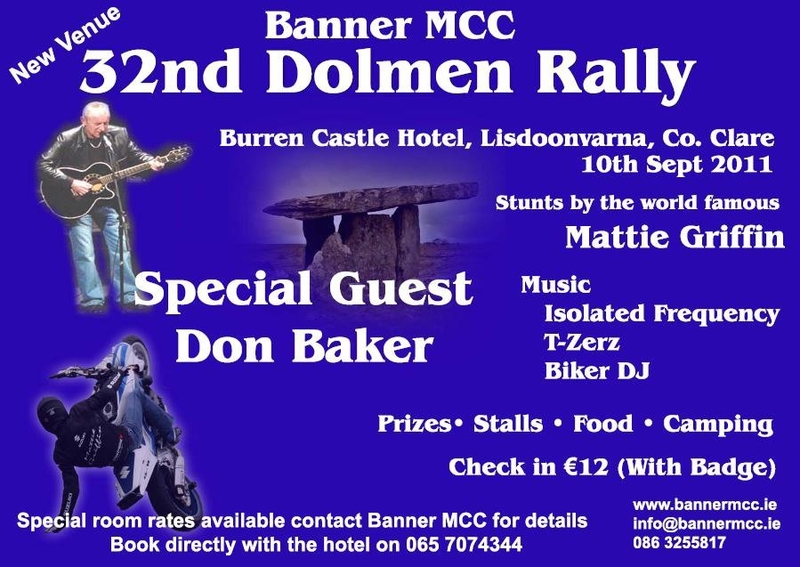 Prizes, stalls, food, camping, and more.